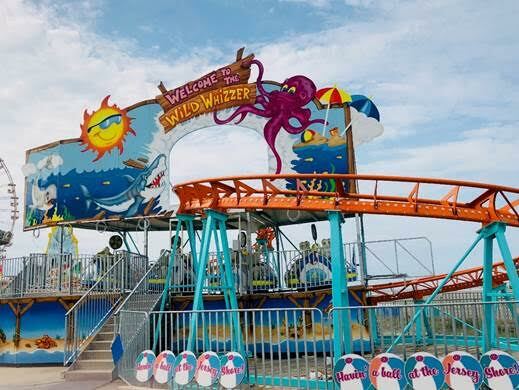 The Wildwoods, NJ – Celebrating 50 summers of family fun, Morey’s Piers & Beachfront Water Parks, located on the boardwalk of the Wildwoods, NJ, welcomes guests back to the piers for the unofficial start to summer on Memorial Day Weekend. Morey’s Piers, located on the boardwalk in the Wildwoods, New Jersey is a classic seaside amusement park, family owned and operated since 1969. Voted the 2015 best seaside amusement park in the world by Amusement Today and #1 Best Beach Boardwalk by Family Vacation Critic in 2015, Morey’s Piers has over 100 rides and attractions spanning over eighteen acres along six beach blocks and includes three amusement piers and two beachfront water parks. Convenient to the major population centers of the Northeast, yet a world apart, Morey’s Piers along with Morey Hotels & Resorts combines the pure joy of an amusement park, the sights and sounds of a classic boardwalk, outstanding accommodations, together with the rhythm of beach life. Visit them at Surfside Pier, featuring the Ocean Oasis Water Park and Beach Club at 25th Avenue, Mariner’s Landing Pier, featuring Raging Waters Water Park at Schellenger Avenue, and Adventure Pier at Spencer Avenue. For more information, visit www.moreyspiers.com or phone (609) 522-3900 or like us on Facebook. You can also follow us on Twitter and YouTube.